Nobody wants to wake up feeling tired and groggy. For more than 18 million Americans, this happens almost every morning. Along with these feelings, a consistent lack of sleep can lead to serious health problems. 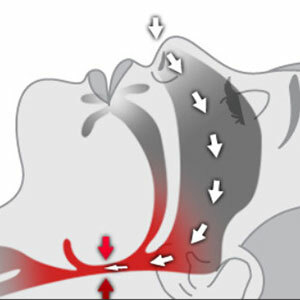 Sleep apnea occurs when the airway from your mouth to your lungs collapses. The result is that the flow of oxygen to your brain stops. Most importantly, an increased risk of high blood pressure, depression, stroke, heart attack, organ failure and even death has been linked to sleep apnea. If you are not sleeping through the night, take the time to learn more. It could save your life. To help you learn more about this potentially deadly disease, we have put together the information below. In addition, we have developed the attached quiz. It will take less than 5 minutes to complete, and it will allow you to better understand your risk level for sleep apnea. We encourage you to utilize both resources and to share this page with friends, co-workers and loved ones who might benefit. For more information of Snoring and Sleep Apnea, Click here! Our Florham Park, NJ office in Morris County can effectively treat snoring and mild to severe sleep apnea. Obstructive sleep apnea (OSA) is a common disorder that consists of small, brief interruptions to your breathing during sleep that are caused by a collapsed airway. These events can last anywhere from 10-20 seconds, and they can occur up to hundreds of times a night, resulting in daytime exhaustion. Both snoring and sleep apnea can be easily overlooked and left untreated, which can be dangerous. Your first visit with Dr. Carollo will begin with an assessment and questionnaire. 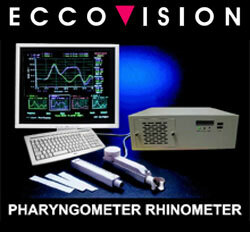 We’ll discuss your specific sleep disorder before moving onto an airway assessment, where we will look at your baseline airway and collapsed airway with a pharyngometer, an acoustic measuring device. If you’ve already had a sleep study, Dr. Carollo will review this with you. If you have not had a sleep study, then our team will work with a trusted sleep physician, who will perform an at-home sleep study and/or a sleep study at a facility. Once we’ve gathered all the information we need to fully understand your unique situation, we can begin recommending possible solutions. The most recognizable symptom of sleep apnea is heavy snoring, though many people who snore do not suffer from sleep apnea. Often, sleep apnea is initially identified by a sleep partner who notices the sufferer gasping for breath and struggling to sleep. Some of the most common indications are feeling tired, multiple trips to the bathroom during the night, increased stomach acid, lack of focus, decreased memory, problems regulating blood sugar and feelings of depression. The presence of any of these symptoms should guide you to seek professional assistance as quickly as possible. Already Have a CPAP Machine? 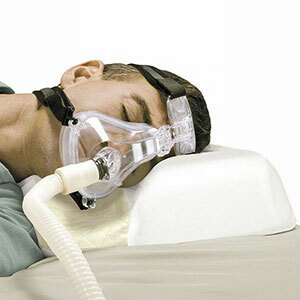 Millions of Americans have already completed a sleep study and have been prescribed a CPAP machine. This noisy, intrusive device is often prescribed with the goal of forcing air through your mouth to keep the airway open while you sleep. It is uncomfortable at best, and more than 80% of people with CPAP machines do not use them as prescribed. As a result, these people continue to suffer from the terrible impact of sleep apnea. The good news is that you do have options. In fact, the #1 alternative to CPAP is an oral appliance. Please schedule a free, no-obligation consultation with Dr. Carollo today to learn more.